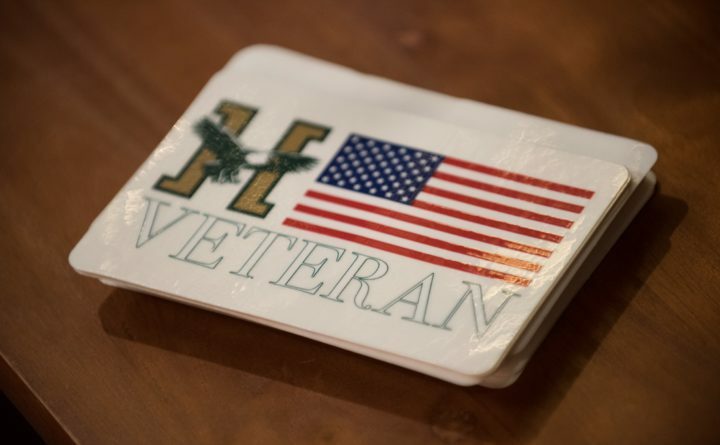 BANGOR – In recognition of the incredible sacrifices made by members of the armed forces and their families to protect our way of life, Husson University will be hosting a Roll Call event at 1 p.m. Friday, Nov. 9 at the G. Pierce Webber Campus Center. During the event, Husson University will participate in a “minute of silence” and a national roll call that honors those who have served, those who are serving, and those who gave their lives in service to our country. The Annual Roll Call is free and open to the public. For more information about the Annual Roll Call, please contact Danielle Leighton, Husson University’s veterans school certifying official and assistant student accounts manager by phone at (207) 941-7034 or via email at leightonda@husson.edu. This event is sponsored by Husson University’s Office of Veterans Services and by Husson alumni and friends. For more than 100 years, Husson University has prepared future leaders to handle the challenges of tomorrow through innovative undergraduate and graduate degrees. With a commitment to delivering affordable classroom, online and experiential learning opportunities, Husson University has come to represent superior value in higher education. Our Bangor campus and off-campus satellite education centers in Southern Maine, Wells, and Northern Maine provide advanced knowledge in business; health and education; pharmacy studies, science and humanities; as well as communication. In addition, Husson University has a robust adult learning program. For more information about educational opportunities that can lead to personal and professional success, visit Husson.edu.